When Three Points of the Compass first began camping as an individual, it was only the brief foray from the bosom of my family while still a quite innocent and naive young man. More an impecunious teenage making do with what gear I could save for with the meagre earnings from a paper round, or what was languishing in the loft from (presumably) my dad’s younger days supplemented by what I could scrounge. Brief cycle trips into the neighbouring countryside were followed by the occasional overnight when an Army Cadet. A bright blue and almost shapeless climbing sack was, on occasion, stuffed full of the assorted gear that I could muster and I extended my experience into overnight bivvies in the local woods. There was little beyond this that surburban Hertfordshire could offer, but still a thrill to a nervous lad stretching at boundaries. My earliest ground cover was basic. It was simply a grey woollen blanket that my mother permitted me to cut into a tapered shape in a vain attempt to save on bulk and weight. She taught me blanket stitch and the rough edges, cut diagonally across the weft were tidied up with bright red wool. I even sewed a handful of cub scout badges that I had somehow earned onto the top edge to make it more presentable, God, what was I thinking! This early attempt at insulation beneath me while camping was soon superseded by the lightest blow up mattress I could find, the sort of thing that was sold cheaply in beach side shops and intended to last a week on the sand and local swimming pool. It was bright pink and required blowing up hard otherwise my hip rested on the ground (I have always been a side sleeper). So hard was the mattress that it was uncomfortable enough to prevent sleep. Thereby providing all the more time to consider just how useless it was. When it developed too many leaks to continue patching with a cycle tyre repair kit it was thrown away with little regret. Fortunately there was an efficient alternative available from the local Woolworths that was cheap enough to even be within reach of my limited funds. Derrick Booth-‘The Backpackers Hand Book’. Note rolled closed cell sleeping pad. Possibly the first book I ever purchased that helped guide me in my early purchases of camping equipment was Derrick Booth’s The Backpacker’s Hand Book. I read the book from cover to cover and still today believe it contains much good sense and advice, if now a victim of it’s time. Re-visiting my youth I tracked down a copy, unfortunately I could not find a hard back like the one I read so avidly in the ’70’s, instead I now have the paperback 1982 third edition reprint. It was Booth who put me on to the option of a closed cell mat. Before I purchased a Karrimat I had experimented with a thin piece of cheap foam purchased from the local haberdashers. I failed to understand the difference between open and closed cell foam and, needless to say, the open cell foam compressed completely, provided zero insulation and was just as useless as the air mattress had been except even less comfortable. My Karrimat, made by Karrimor, was a roll of bright green,half inch thick, closed cell foam pad. It was probably the only piece of kit that I purchased in the 1970’s that could still hold its head up against today’s opposition. Never the most comfortable piece of padding, nonetheless it insulated reasonably well from the cold ground. It was incredibly lightweight and when rolled up, its bulk could be strapped to the outside of the bright orange external frame pack that I proudly possessed at the time. 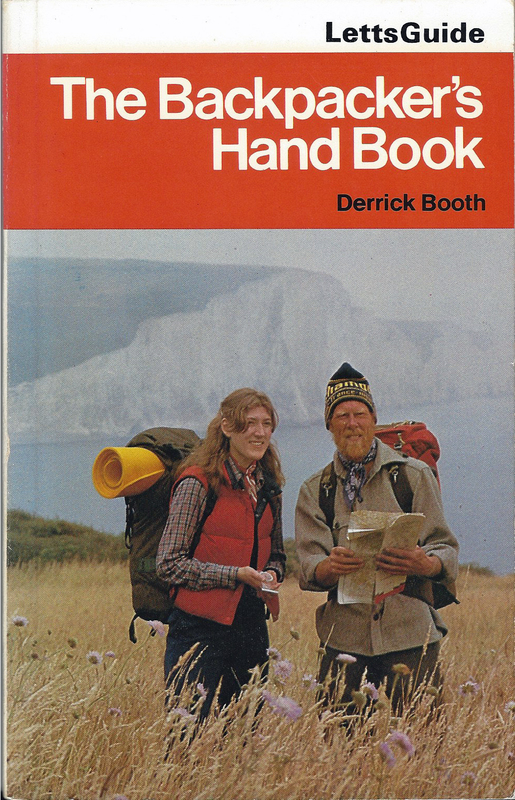 When I made my first attempt at any sort of ‘long distance’ hiking; a self-devised 80 mile circumnavigation of the Isle of Wight in the late 1970’s, this is what I used. So suitable was it that when I repeated the hike, in under 40 hours, the following decade, this is what I took for my brief overnight halt. I used the Karrimat right through the 1980’s and it was only in the 1990’s that I decided to cut it up to make pot cosies. Later, as a young man and still later, as a young soldier, I was rough enough, tough enough and probably stupid enough to make do with very little in the way of underbody insulation when camping. If I didn’t have a closed cell mat, then I frequently made do with pulling together natural insulation- bracken, pine needles etc. These together with excess clothing kept beneath an army ‘maggot’- a down and feather sleeping bag with waterproof base, usually sufficed. Nights were seldom comfortable, or warm for that matter, thankfully I shall never return to that situation if I can help it. Looking to an improvement to my closed cell foam mat, it wasn’t difficult to settle on a far more comfortable and more efficient alternative. While there were cheaper rivals, by far the biggest market leader was Thermarest. 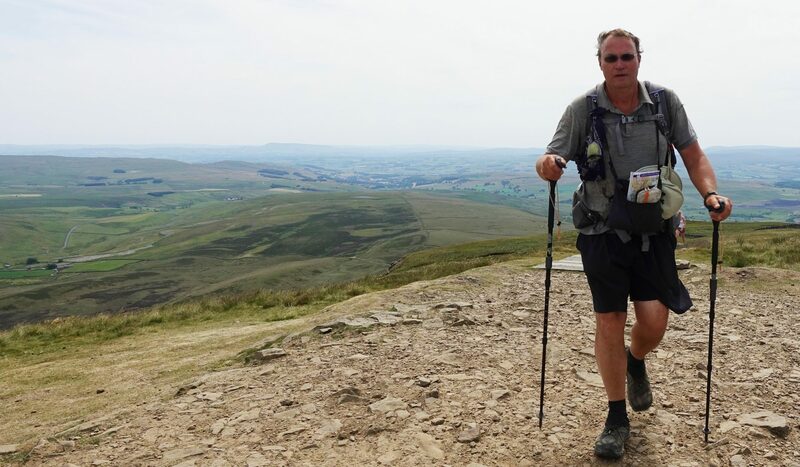 The mat I chose was a full length (51cm x 183cm), 3.8cm thick Thermarest Prolite 4 from their, somewhat ambitiously named, ‘Fast & Light’ range. It had a bright orange top side and a grey base. Size Regular, it weighed 680g. 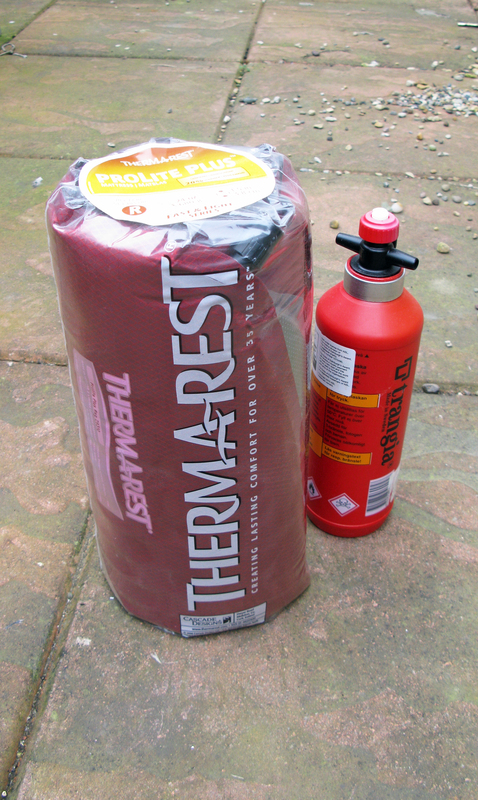 Somewhat optimistically advertised by Thermarest as a four season mat, the Prolite mat provided an R-value of 3.2. Wow! OK, it was time to learn a little about the deep dark and secretive world of R-values. R-value is a measure of thermal resistance. Simply put, it is the ratio of the temperature difference above and below the mat and the heat transfer between these points over time. A higher R-value indicates that a mat resists heat transfer better than a mat with a lower R-value. Mats would typically have a range of between 1 and 8. So at 3.2 the Prolite was OK, but not exactly great. There are a number of features that put this mat above the foam mat in my mind. Comfort is a big factor, these old bones appreciate the vast improvement however as a side sleeper, the hip can still bottom out if the mat is a tad soft. In April 2011 a fault in the earlier Prolites manifested itself. Camping in the Peak District I went out exploring the hills, returning to my tent in the afternoon I was greeted by a mat that looked as though it had been gorging itself. 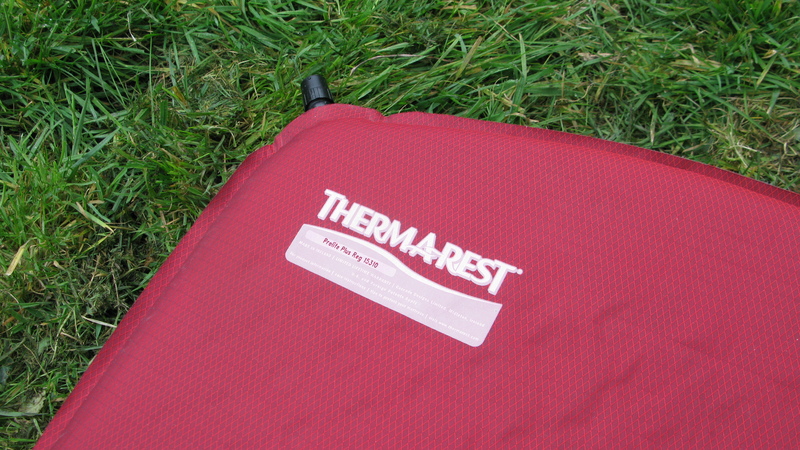 While almost self inflating once unrolled, the Thermarest mats require a few final puffs of air to finish them off before closing off the valve. Over time the moist breath builds up condensation inside the mat, you could actually see mould growth within the mat through the thin walls. This was no doubt unkind to the internal fabric, probably rotting the baffles inside. On a warm day and subsequent expanding air, the two sides can separate with disastrous consequence. A slight bubble quickly becomes larger and the mat becomes impossible to sleep on. The replacement mat was the improved version. 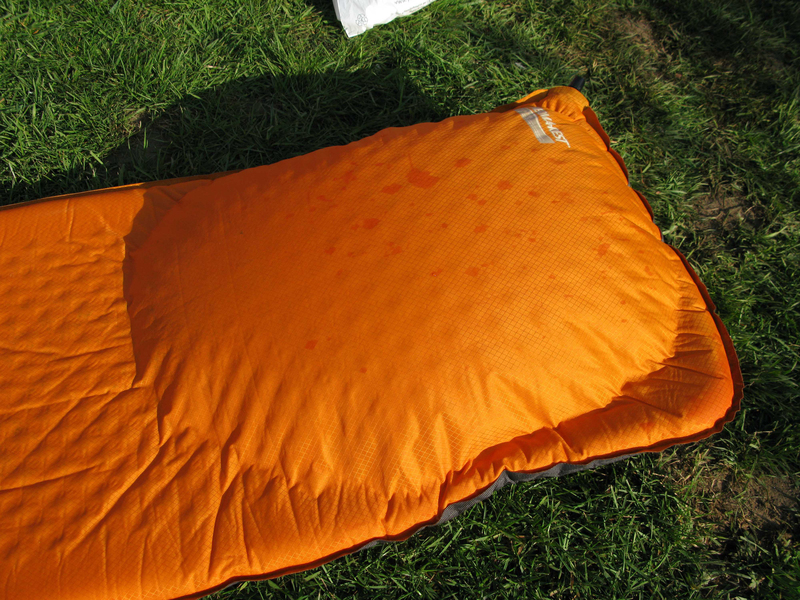 This was the Thermarest Prolite Plus. The same size: 51cm x 183cm (20″ x 72″). This mat also weighs 680g (24oz) and offers an R-Value of 3.8, a slight improvement on my earlier mat. I have used this down to -5°C (23° F), unsurprisingly at that temperature the cold is seeping through the mat, especially at the hip (or more accurately, my body is attempting to heat up the planet). The lesson has been learnt though, and if I leave the mat in the tent during the day, the valve is tweaked open to allow for expansion should the day warm up. No more exploded mats please. This mat continues to give good service. It is pretty tough and a decent middle ground mat. My upgrade on this will almost certainly be to another Thermarest. 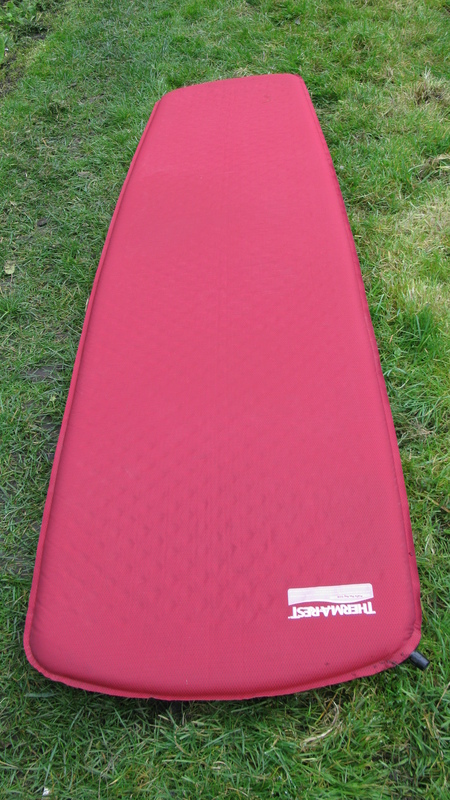 I have considered the Neo Air at length, but am almost settled on the X-Therm mattress in one of its incarnations. Depending on the size I purchase, these currently range from 430g to 640g. All are 6.3 cm (2.5″) thick and have an R-Value of 5.7. I favour the X-Therm over the lighter NeoAir due to its increased efficiency and apparent greater durability. The question of how to inflate it remains unanswered as yet. Do I go with simply blowing it up, with the inherent risk of condensation inside, which can freeze into ice crystals at night with subsequent risk of puncture. Or use an inflator bag or one of the little battery driven inflators, which look a bit naff to be honest. Holy Cow! I’m not the only one suffering this failure. Bought my first ThermaRest self-inflating mattress in 1990 and it lasted until 2017 without a fault. 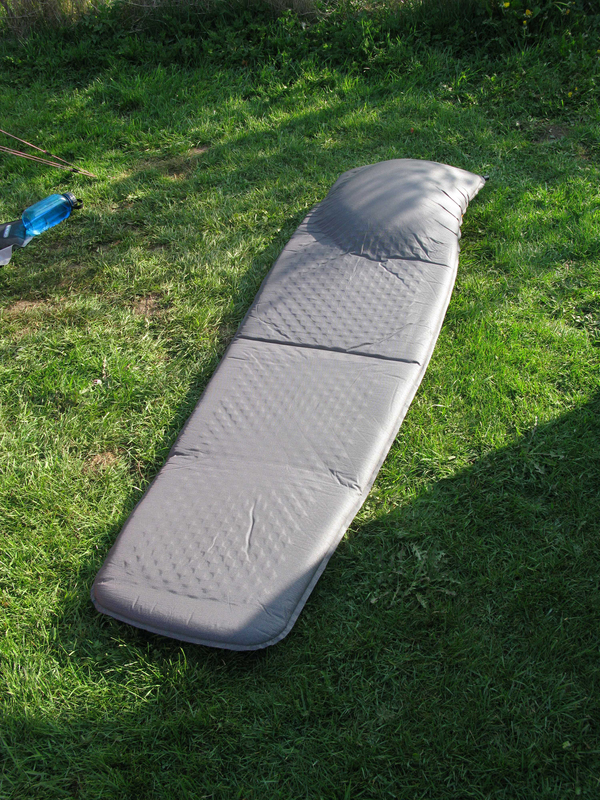 Then I replaced it with the ThermaRest Basecamp XL 2199714 as it was larger. 10 months later (2018) it blew up, like your orange one, after a few days of internal ‘crackling’ sound. Posted picture of ‘gorged snake’ on Twitter and was told by Cascade (parent company) it was an “ANOMALY” and it was replaced after inspection by company. Was NOT told breath moisture may have caused failure. At 04:30 on April 9, 2019 replacement BaseCamp XL literally popped with a huge bang (like a tire blow out) and no advance crackling or bulging notice. That’s when I Googled and found your post and images. Obviously my ThermaRest EPIC FAIL is not ‘an ANOMALY’. This is a Manufacturing fault! That has a relatively simple possible solution, which I am proposing to company (and I want recognition for this)!